Have you ever wanted to play a YouTube video repeatedly in a loop? Maybe it’s a song, a TV show, a kids video, music video, something funny, whatever it is, you’d like to play it repeatedly on a loop. WhileYouTube is generally designed to play a video once and then either stop playing or move onto another different video in a playlist automatically, a hidden feature allows YouTube users to replay any video in an infinite loop, without having to turn to any tricks, funky third party websites, shady downloads, or anything else. 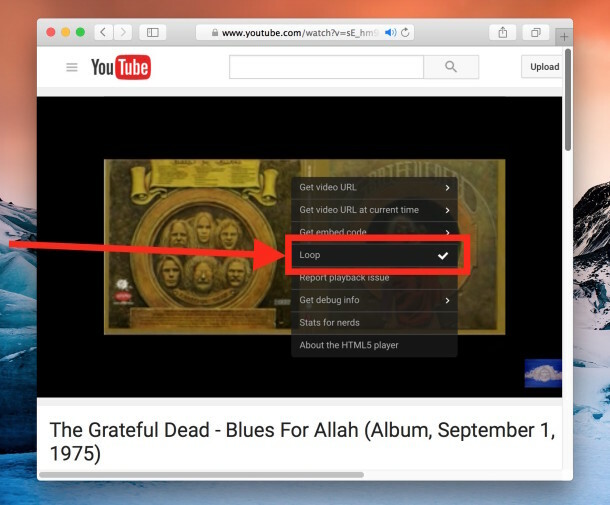 The new YouTube looping playback feature is built right into the browser based player and is easy to use. 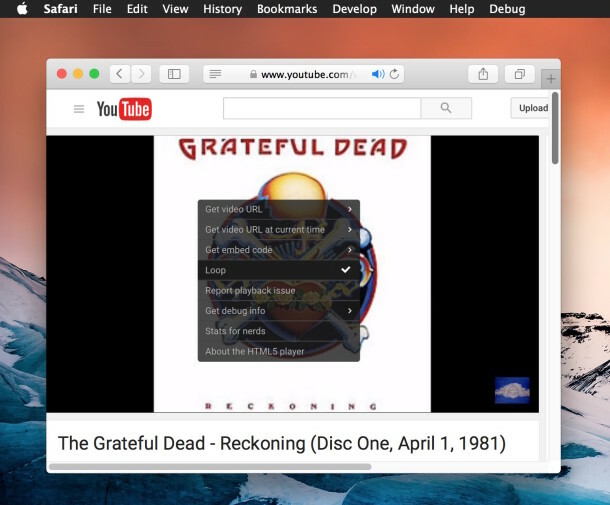 To loop a video with YouTube for infinitely repeated play, be sure you are using a modern web browser. Whether that is Chrome, Safari, or Firefox doesn’t matter, as long as it’s a new version, it should support the looping video feature. The loop trick also works the same on any operating system, so it shouldn’t matter if you’re on Mac OS X, Windows, or Linux. The rest is really easy and it works with any video or movie that is on YouTube or from YouTube, even if they’re embedded in a webpage. 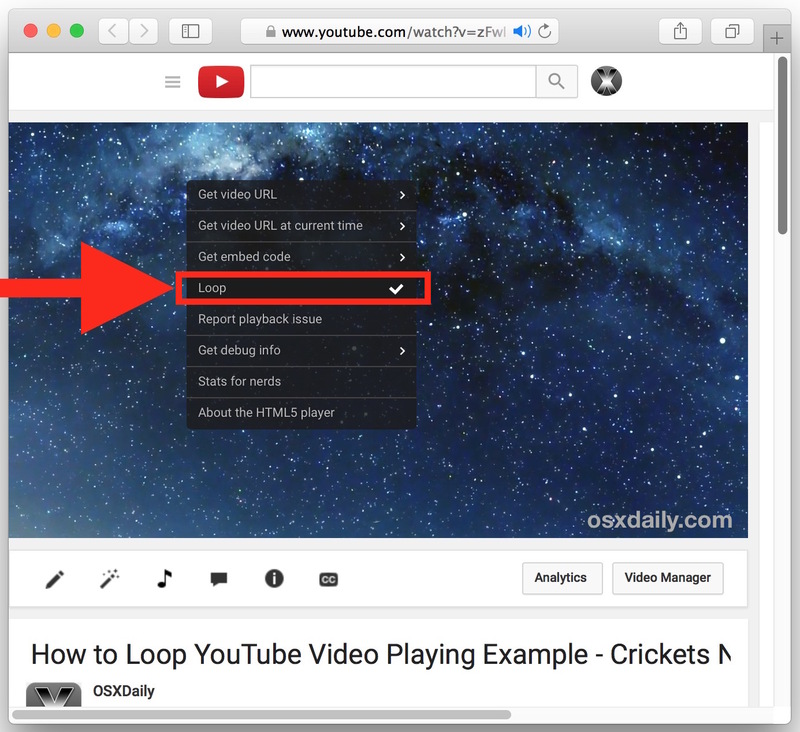 Here is the embedded short YouTube sample video of crickets chirping to test this out easily, just play the video, right-click, and choose “Loop” to try the looping playback feature out right now on this very webpage. This is a great feature that is not yet well known, but it’s quite useful for obvious reasons and should be appreciated by many YouTube viewers for all kinds of videos. There doesn’t appear to be any limitations on the video loops or on any videos themselves, you can loop long videos or short videos, videos belonging to someone else or uploaded yourself from iOS or from OS X, it doesn’t matter, if it’s on YouTube it will have the loop feature. This can be great if you want to repeatedly play an album or song on YouTube, or the same show, or some nice scenery for a screen saver or mood video, the use cases are wide. Enjoy! Note that at the moment this appears to be limited to desktop versions of YouTube, so Android and iPhone users won’t yet have the ability (that we’re aware of, post in the comments if you figure out how to loop on mobile devices without apps or websites! ), so if you were hoping to repeatedly play a YouTube video in the background on the iPhone on a loop, you’ll have to just start the video over again when it finishes, as the feature is not yet implemented on the mobile side of things. Thanks for this tip. I just recently discovered the “nature sounds” type YouTube videos (like the crickets chirping) and like to have them play when going to bed – induces sleep. Most are not long enough, so this solves the problem. Thanks. Great tip. Had to resort to third party tools and websites for years to do this. Nice to know it’s built into the browser now. Looping works on my Moto G on Android. Long press to open the menu.